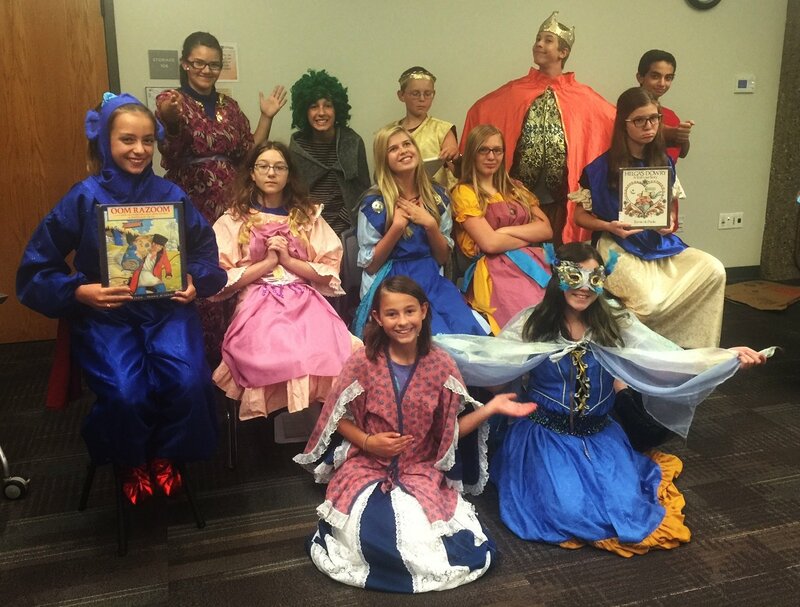 Every fall and spring, the Poudre River Public Library District welcomes back our Theatre Pals, a group of enthusiastic young performer-volunteers who produce Story Theatre performances at each of the library locations. This fall marks the 15th season of Story Theatre presented by the Theatre Pals with four performances of “Abracadabra” Two Tales of Magic and Adventure coming up this weekend and next week! 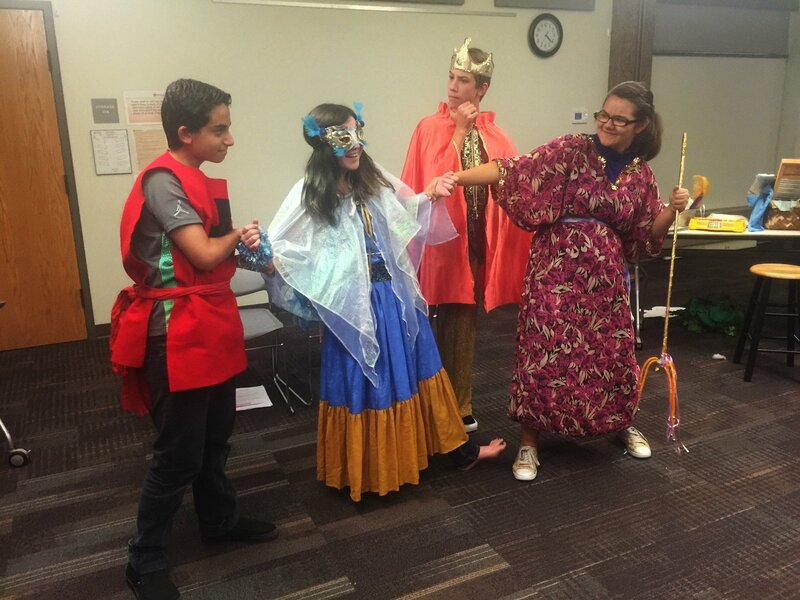 Since 2009, under the amazing guidance of Fort Collins Children’s Theatre production manager and outreach manager Karen Christophersen, the Theatre Pals come together to rehearse and perform adaptations of folk tales and other children’s stories. For two weeks, the 5th – 8th graders meet after school for two hours to practice their acting skills and work through their upcoming performances. Karen not only writes the scripts for Story Theatre, but also directs and mentors the Theatre Pals. 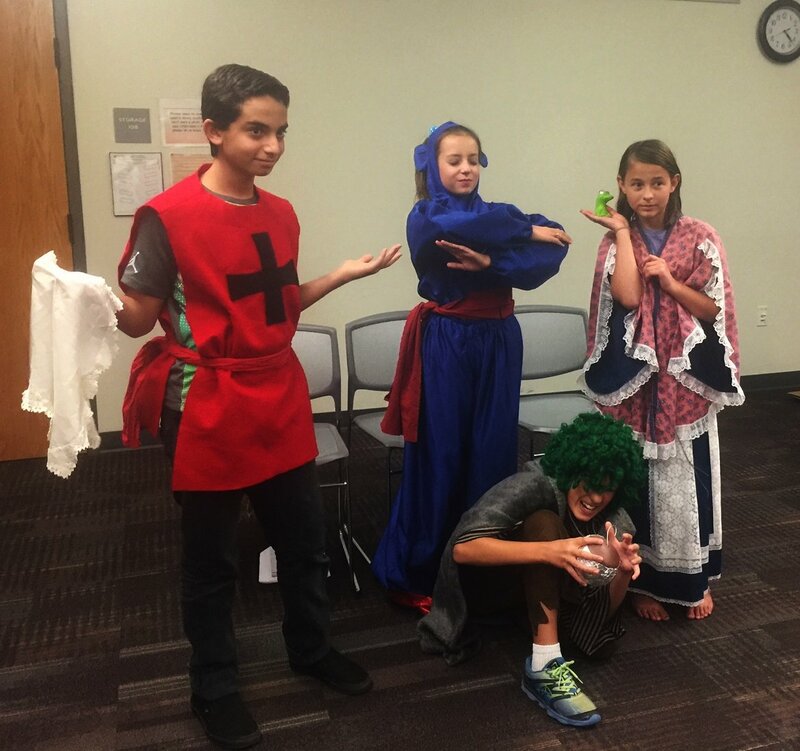 This fall’s Theatre Pals troupe consists of 13 tweens and teens from throughout the Fort Collins area. 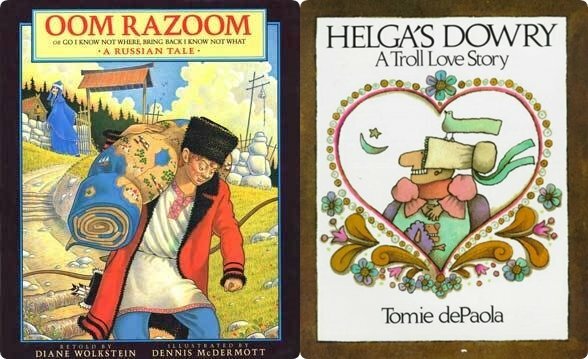 They will be performing “Abracadabra” Two Tales of Magic and Adventure based on two fantastic folk tales: Oom Razoom, a Russian tale re-told in picture form by Diane Wolkstein and Helga’s Dowry: a Troll Love Story, a Scandinavian tale by Tomie dePaola. The original story books are available for checkout through the libraries. It’s clear from watching the Theatre Pals rehearse for their upcoming performances that this group loves to perform for their audience. The Library District Theatre Pals are offering four performances of “Abracadabra” for the public. Make sure to come by one of the library locations and enjoy the magic and adventure. 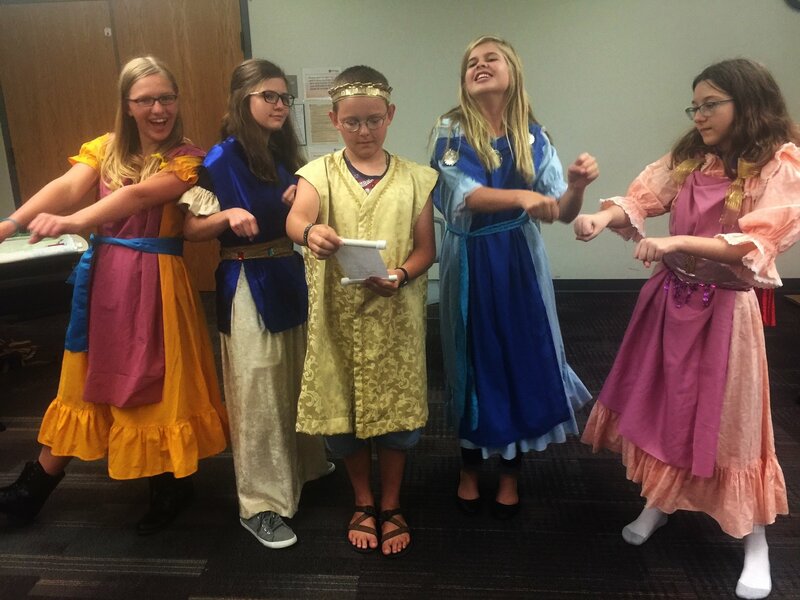 In addition to their theatrical performances, many of the Theatre Pals members also volunteer their time at the libraries through the Library Pals program. These tweens and teens are frequently seen during summer reading activities and other fun programs interacting with the kids, running activity stations, dressed up as the library mascots, and keeping the library organized. Have questions about the upcoming Story Theatre performances by the Theatre Pals? Give us a call at the Answer Center, 221-6740.